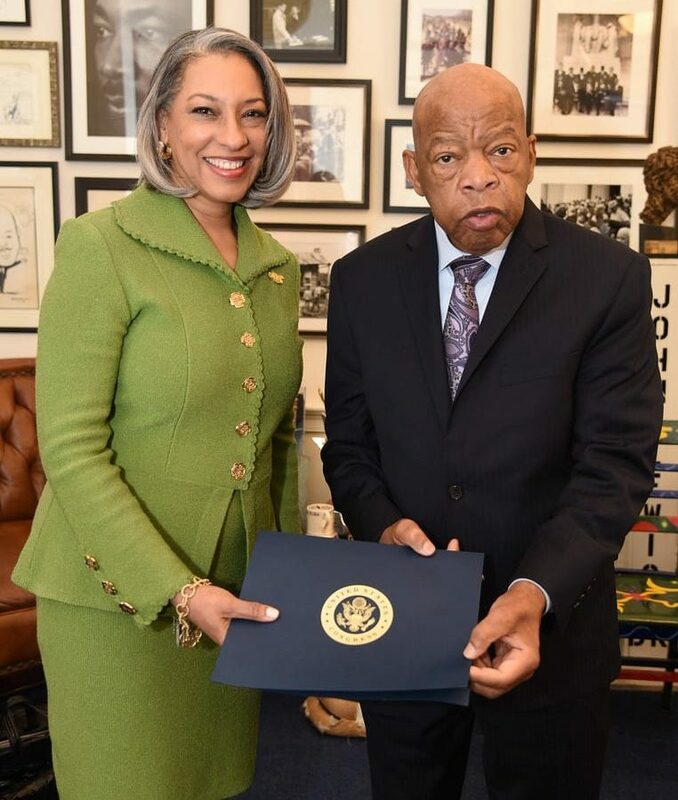 April 2, 2019 (Washington, DC) – During Women’s HERstory Month, noted civil rights icon Congressman John Lewis recognized The Links, Incorporated as a distinguished organization of outstanding community service and influence. Dr. Kimberly Jeffries Leonard, president of The Links, Incorporated and The Links Foundation, Incorporated had the pleasure of meeting with Congressman Lewis in his historic and museum-like Capitol Hill office last week. There, he lauded Dr. Jeffries Leonard for her dynamic, bold leadership as the organization’s 17th national president. Moreover, he praised the premier women’s organization of more than 15,000 professional women, for its integrity, courage, and accountability. While presenting the esteemed service award, Congressman Lewis further characterized the group’s work as “essential to bending the moral arc of the universe towards justice.” Dr. Jeffries Leonard shared that Congressman Lewis is a fearless trailblazer whose contributions in both the civil rights and political arenas are unrivaled. “Receiving your vote of confidence, Congressman Lewis, confirms that we are on the right track, focused on transforming lives and fulfilling our purpose.” said Dr. Jeffries Leonard.